By now, we're already highly aware of the fact that two more trips to Pandora are in our future. 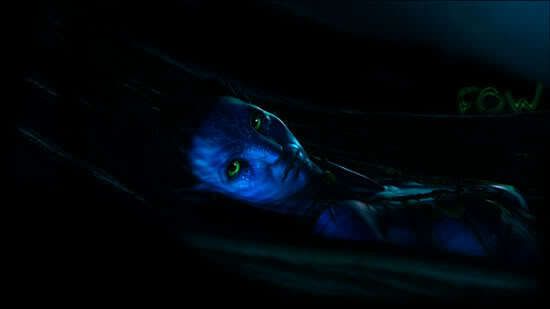 Far in our future, unfortunately, as James Cameron's back-to-back sequels to "Avatar" aren't hitting theaters until 2014 and 2015 at earliest. But while that's a bummer in some regards, it's actually a very good thing in other ways: namely, it gives Cameron extra time to work on some new tricks. Some set up: "Avatar 2," and potentially "Avatar 3," is going to showcase the underwater areas of Pandora. In theory, that's a fantastically exciting prospect. The lush, florescent jungles seen in the first film were some of the most breathtaking locations ever put to film, and the aquatic flora and fauna of Pandora are likely to match that level of visual wonder — but there are some obstacles for Cameron to overcome, such as mastering the art of underwater performance capture. "'Avatar' does have some underwater stuff, but it will mostly involve characters that are the Na'vi and the Avatars," Cameron Told MTV News at during the press junket for "Sanctum,". "So we have to figure out how to do performance capture underwater, which has never been done. That's a whole other problem." Cameron is optimistic about finding a solution, thankfully, and his experience on "Sanctum" — an underwater thriller based on true events — may have helped him prepare for the water sequences in the "Avatar" sequels. "Every time you do a project, you learn. You make the cameras better, you learn more about the procedure," he explained. "We like to build race cars and then we like to go race the race car and then we go back and work on the engine some more." So underwater will be just a small part of av2, and main focus is shifted to Avatars, Navi. Last edited by Tymian; 02-05-2011 at 02:35 PM. Thanks for sharing. Performance Capture underwater? Hell yeah! I knew it. Thanks for posting this news, Tymian! Sounds cool...and I've no doubt JC will find a way to do underwater performance capture. @ LOVEavatar : maybe something similar to Titanic... (maybe)... I just can't wait to see the underwater world of Pandora, I bet it's stunning ! Thanks for posting the interview. I'm glad to see it coming in higher FPS. Can't wait to see what underwater looks like! JC has spent so much time doing underwater research in recent years that we can be sure he will come up with something technically mind-blowing for Avatar 2 and 3.